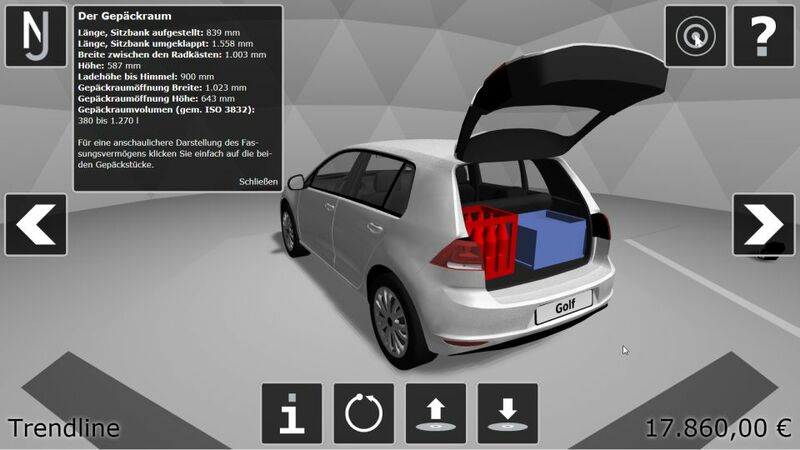 The virtual car dealer (or VAH for short due to its German title 'Das virtuelle Autohaus') is my master-thesis' subject. 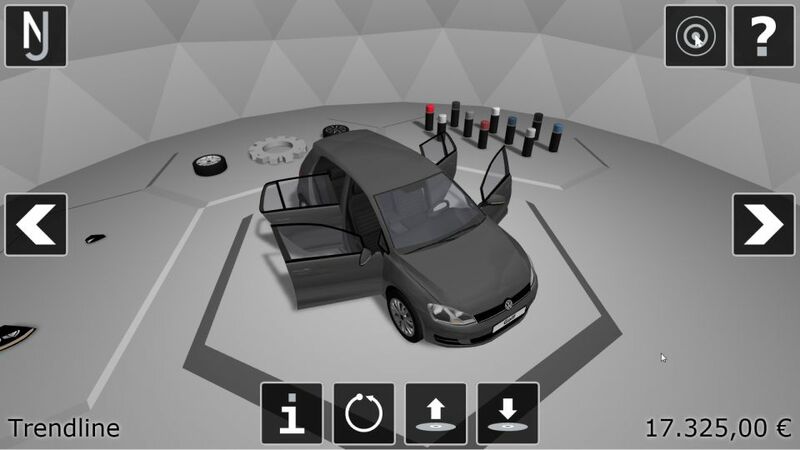 It's about developing a 3D web-application which enables users to inform themselves about a car while at the same time configuring it – all in all they should be able to experience every aspect of it. The challenges are not only of technical nature. Customers' demands have to be determined and met as well, moreover the user-interface has to blend in with the three-dimensionality of the main-application. 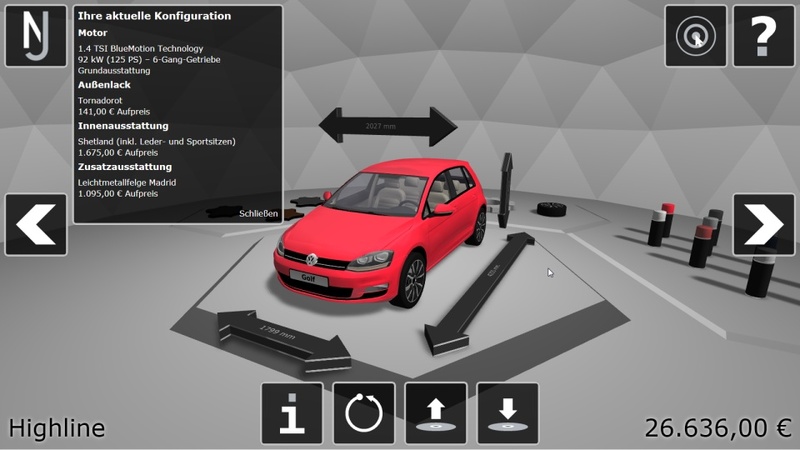 Stick with plain text in boxes is not always the way to go, instead as much content as possible should be presented through means the virtual car offers. 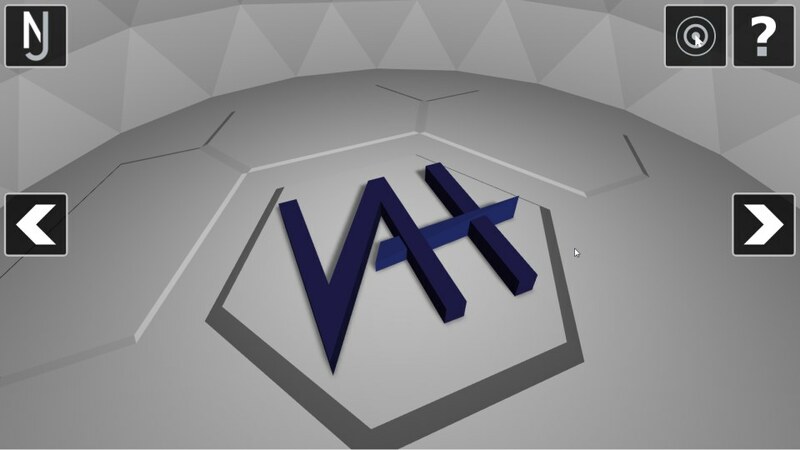 The preparation of the project on a rather theoretical level (like evaluation of statistics concerning what people demand from a new car) is virtually finished by now. 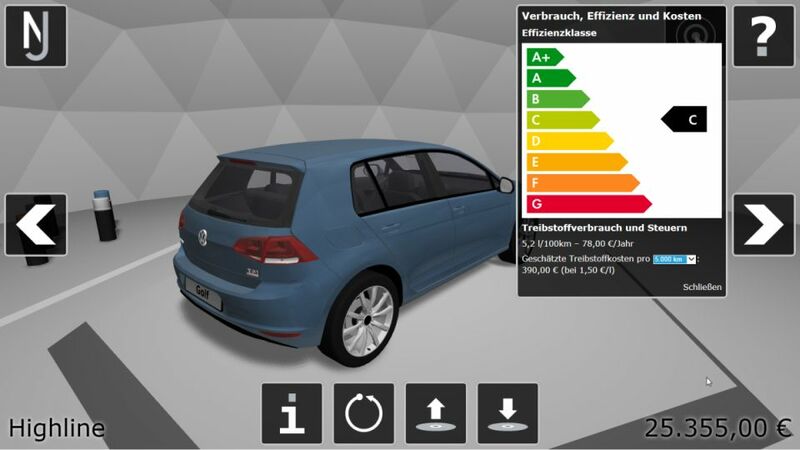 Another step was the creation of the exhibit which is a Volkswagen Golf of the current seventh generation – more on it on its own page. The prototype of the VAH itself is as complete now as I intended it to be for my thesis. Here you can find the VAH prototype. All following aspects are part of the linked prototype. Uncompressed it weighs in at ca. 4,5 MB, however this server provides compressed data transfer. Either way no conventional configurator is even remotely able to visualize a modified setup as quickly as the VAH. The delay amounts to milliseconds independent of the connection speed. The downside is the restriction to modern browsers and a sufficiently powerful consumer hardware. The AJAX based loading of required ressources checks browser and hardware compatibility in multiple steps. If a test fails, initialization stops and the user is presented with a message describing the problem and possible solutions. Animations were realized using the JS library jQuery. jQuery is used to animate a numerical value representing an angle like that of a door. This angle is read each frame and used to display the object accordingly.